Sample Comments Regarding PolyMet’s Permit Application to Construct a Copper Mining Tailings Lagoon in Northern Minnesota	What if the 9/11 Whistle-Blowers are Speaking the Truth? In 1990, a U.S. Fish and Wildlife Special Agent colleague and I worked in Nevada on a mid-west based suspect offering to sell a Black Rhino horn for $20,000. In a covert capacity I secured his knowledge and agreed to meet him at a new casino in Las Vegas for the transaction. My colleague and Special Agents from Legacy U.S. Customs leased an adjacent room to the suspect and wired me up. The horn was genuine and I agreed to purchase it for $20,000. But only after debating the suspect’s friend who handed me a National Geographic Magazine with an article showing a single Black Rhino horn was worth $25,000 on the black market. After paying a $1,000 deposit to hold the horn, I promised to return with the balance ($19,000 I never had). I opened the door and my colleague and U.S. Customs Agents entered to detain and fully identify the seller and his two colleagues and seize the horn and the $1,000 deposit. Many weeks later after the suspect was indicted and later pled guilty, the end result was a federal judge assessing the suspect a meagerly fine plus court costs. After all that expenditure of effort, time, and money, not to mention the profit to be made. The judge just orders a fine and court costs for the life of an endangered rhino? They should be worth more alive than dead. A colleague with another federal agency later quipped that his co-worker had several unpaid parking tickets in his government vehicle glove box that was more than the fine levied in this rhino horn case. My colleague was shocked at the failure of justice and said it was impossible for the judge to be that stupid. There are many past and present instances of minimal fines, probation instead of serious jail time, and/or heavy penalties for wildlife crimes. This must change. 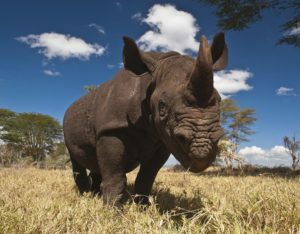 Are North Korean Diplomats using diplomatic immunity to smuggle rhino horn? The U.S. should stop all foreign aid to South Africa for allowing legal sale of rhino horn. 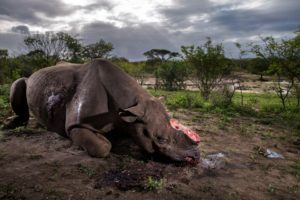 With the recent plan by South African officials to allow the legal sale of rhino horn, the U.S. should stop all foreign aid to that country. There are already too many loopholes and widespread corruption that will permeate this proposed plan and cause further exploitation by the illegal market. When there is greed, you cannot trust humanity to do the right thing unless there are sufficient consequences in place. If the U.S. is really serious about saving all rhino species on the planet, it would stop foreign aid to those countries who do not take an aggressive role to protect these magnificent species for future generations. The U.S. should be sending special operation military advisors to South Africa and elsewhere to help eliminate these poaching syndicates who are the dregs of the wildlife smuggling world. The cancer must be first removed for the healing to begin. This is the tip of the iceberg for thefts of rhino horn from global institutions that have been unfolding for years. The recent killing of the beloved rhino in a Paris Zoo is part of an ongoing crime wave to decimate rhinos across the planet and exploit their horns even after death. An Irish Travelers syndicate was instrumental in global trafficking of rhino horn worth millions beginning in 2011 when 20 rhino horn thefts were reported from museums, auction houses and private homes in Europe. Even in death, after these magnificent creatures are turned into libation cups, full body trophy mounts, and wall mounts in museums and private collection, their horns are subject to further exploitation through evil, and theft for tainted monetary greed. 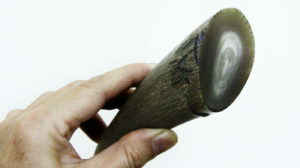 A Vietnamese rhino horn user displays her horn, which was a gift from her well-to-do sister. 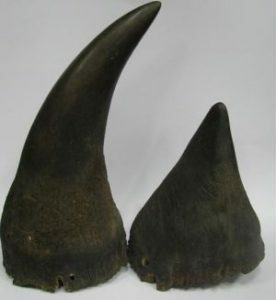 Last year, rhino horn sold for up to $1,400 an ounce in Vietnam, about the price of gold these days. In many lifetimes, history will undoubtedly record the last of the three captive Northern White Rhinos as a legacy to the excessive greed of humanity. And so, just like the last Passenger Pigeon in 1914 that died in a zoo, the other rhino species will follow their fate without serious action taken by the U.S. to protect them. As always, the key words, “political will,” are still lacking. What are we waiting for? Saving endangered species creates peace and harmony with countries in discord. Panda diplomacy should remind us and nations across the world who have treasured endangered species, that there is common ground in protecting fragile and imperiled species that creates harmony within the discord of political differences between countries. Why can’t we engage more in Rhino diplomacy before it is too late? https://en.wikipedia.org/wiki/Panda_diplomacy.